NAIROBI, 22 April 2009 (IRIN) - More and more drought-affected internally displaced persons (IDPs) are flocking to towns across Somalia's central region of Galgadud in search of food, despite the onset of the `Gu’ rains (April-June), local officials told IRIN. 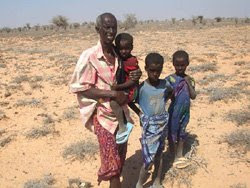 "Some 550 families [3,300 people] have arrived in Abudwaq from rural areas after losing their livestock," said Abdirizak Abdullahi Warsame, a doctor with Hadia Medical Swiss-Somalia, an NGO supported by Somalis in the diaspora and the Swiss government, and operating in Abudwaq District. Warsame, the only doctor in the town, said people were coming into town because the rains had been "light and patchy". He said his organisation was providing medical help and water to the camps but this was not enough; the IDPs require food, shelter and more water. "We are seeing malnutrition cases among the IDPs on the increase," Warsame said. He said they had written to aid agencies but had so far not received any assistance. 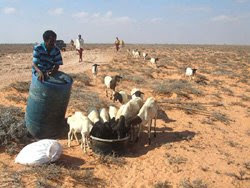 In a 15 April report, the Food Security Analysis Unit of the UN Food and Agriculture Organization (FAO/FSAU) for Somalia warned that drought-affected populations i n the central region faced a continuing deterioration in their food security and nutritional situation as a result of the unusually prolonged and harsh dry `Jilaal’ season (January-April). Ali Sheikh Mahamud, the Guri-Eil district commissioner, said thousands of drought-affected IDPs people were camped in Guri-Eil town. "We have 11 camps around the town populated by IDPs and almost 70 percent of them are drought affected," he said, adding that the IDP population in the area was estimated at 10,000 families (60,000 people). Halima Ismail, who coordinates activities for IIDA, a local NGO, and represents CISP, an Italian NGO, in Galgadud, said: "The problem with these IDPs, unlike normal IDPs, is that they have nowhere to return to. They have lost their livelihoods." 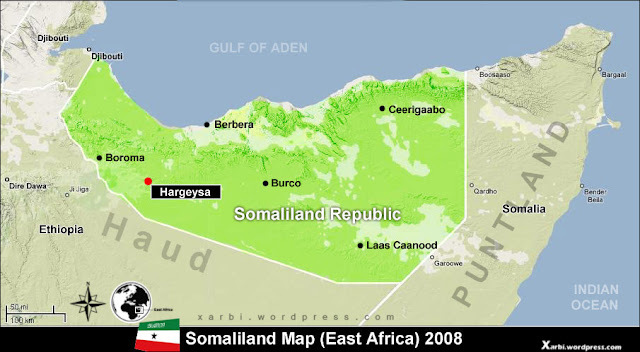 Ismail said the region's economy was based mainly on livestock and "the loss of livestock by the nomads affects the entire economy of the region." She said a new approach was needed to deal with the problem. The main options were a livestock restocking programme or training to help people get a skill and make a living. A humanitarian worker in the region who requested anonymity told IRIN that one of the main problems facing Galagadud "was the lack of an effective local authority with which aid agencies can partner". However, Mahamud said the security situation in the region had improved and that aid agencies willing to work "will find a very receptive environment". The aid worker said the drought-displaced were scattered, mostly in the towns of Guri-Eil, Abudwaq, Adado, Balanbale and Dusamareb, the regional capital. Meanwhile, six US aid agencies working in Somalia have appealed to US President Barack Obama to respond to the humanitarian crisis. The agencies - American Friends Service Committee, International Rescue Committee, Mercy Corps, Oxfam America, Refugees International and World Concern - said in a statement issued on 20 April, as the latest piracy attacks off the coast of Somalia captured the world's attention, "the country remains in the midst of a severe humanitarian crisis," with three million people in need of emergency assistance. They said "the humanitarian crisis requires massive support from the international community and in particular the US." The agencies said only US$251 million had been raised despite the consolidated humanitarian appeal for 2009 of $918 million. The low response to the appeal could force aid agencies to scale back life-saving programmes in parts of the country. "President Obama must work with US allies to ensure that the Somali people receive life sustaining food, water and shelter," the agencies said. In a separate statement, ahead of a donor's conference on Somalia in Brussels on 23 April, IRC said the piracy situation must not divert attention from the humanitarian crisis. “The piracy epidemic is just one symptom of the appalling humanitarian conditions and chronic instability in Somalia,” said Bruce Hickling, who oversees IRC aid programmes in Somalia.